I hope everyone had a fun Halloween! If you are looking for something to do with all of the Halloween treats that your child received, this post is for you! 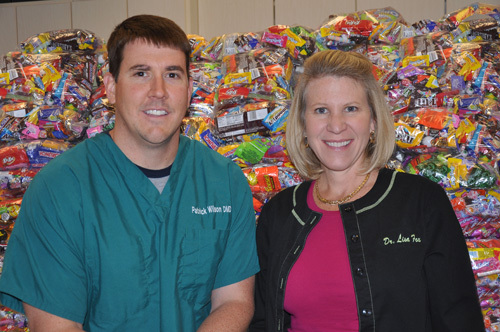 Jack's dentist, Colorado Kids Pediatric Dentistry is taking part in the Halloween Candy Buy Back. They will pay your child $1 per pound of candy, and then send the candy to the military troops in Iraq and Afghanistan. All you have to do is put the candy in a zip-lock bag, along with a picture of your child in their Halloween costume, and a note to our brave soldiers. Colorado Kids Pediatric Dentistry is located in the Highlands Ranch town center. Check out their website for more information along with the schedule of when to drop off the candy. By the way if you are looking for a dentist for your child, I highly recommend Colorado Kids Pediatric Dentistry! Jack loves his dentist. 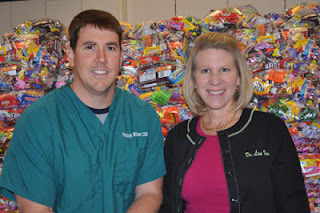 The entire staff is so kind, and they do an awesome job of making children enthusiastic about dental hygiene!